I just love my days off. They almost always consist of sleeping past ten and needless to say I always wake up feeling super refreshed. I spent the first of my morning cleaning up around the house and preparing some meals for the week. My kitchen looked like it was straight from Chopped. I had chili brewing in a crockpot, shrimp grilling on the stove, and chicken grilling in the skillet. I was all over the place, but I’ll be thankful later this week when I can grab it and go. 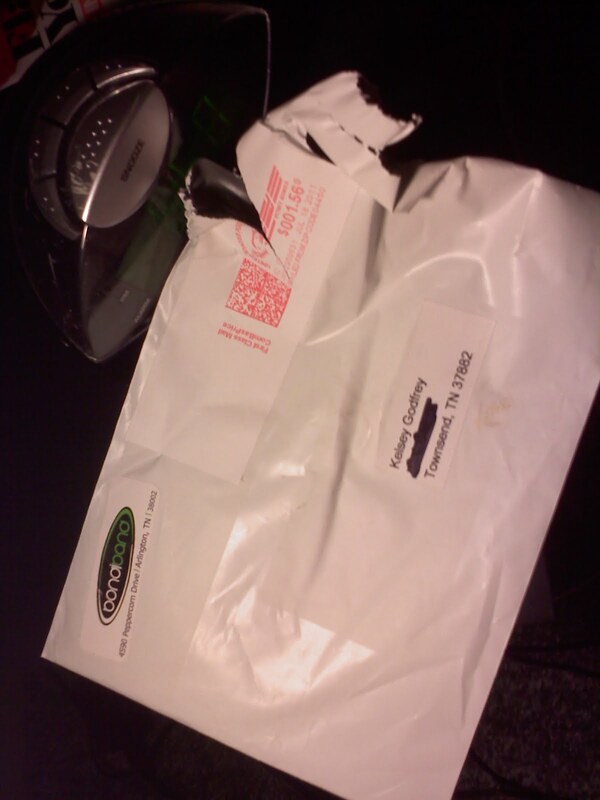 It was a package from BondiBand. 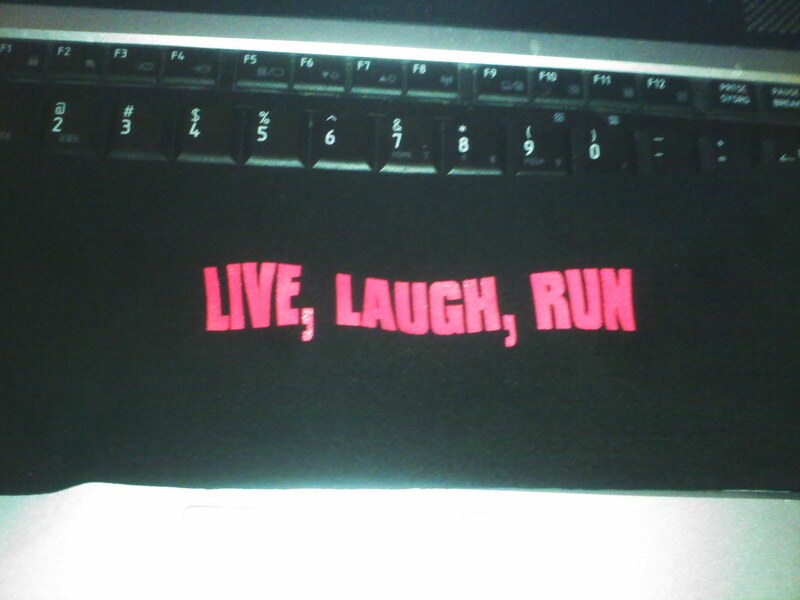 Live, Laugh, Run. Just not at the same time. I was super pumped because I’ve been waiting for it and dying to try it out. Since today was the first day of using it, I don’t feel like I can do a proper review just yet. But stay tuned because I’ll be sure to let you know how awesome it is. It makes me look semi-cancer patientish, but I do love it! I went on a 3 mile walk with my momma this evening and yikes was it hot. We even did Chesnut Hill and the humidity was killing me! ﻿After coming home, I was feeling super motivated, so I hopped on my bike and put in a quick 5 miles. I’ve been reading lots of blog posts about “brick” workouts, so I tried it tonight. Sort of. 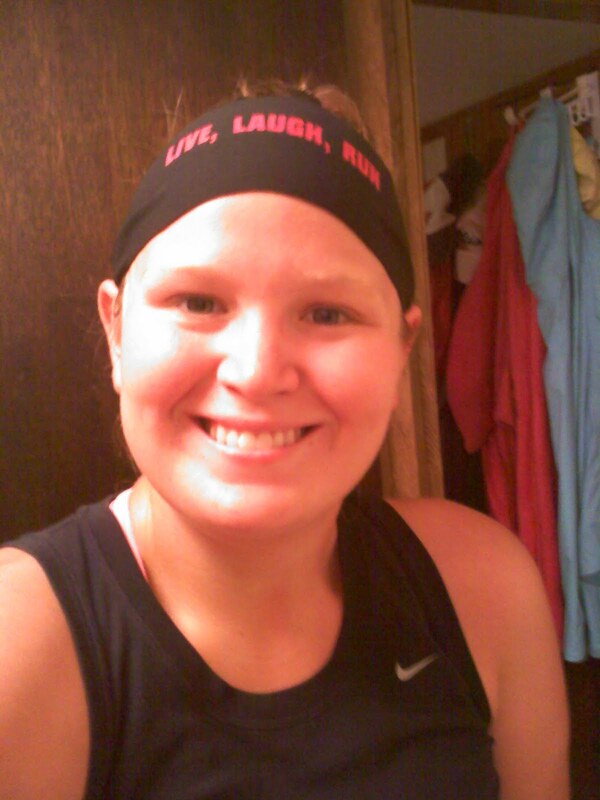 I did my 5 mile bike ride, then opted for a 1 mile run. I did the mile in under 10 minutes, but I felt like death. Legs were on fire, and my lungs were collapsing. Mmm, watermelon. We’ll consider this my upperbody workout today. twinners!!!!! loved your comment girl. yup headed over to target today for that sweet find. I actually have a lime green one in my closet too. haha. 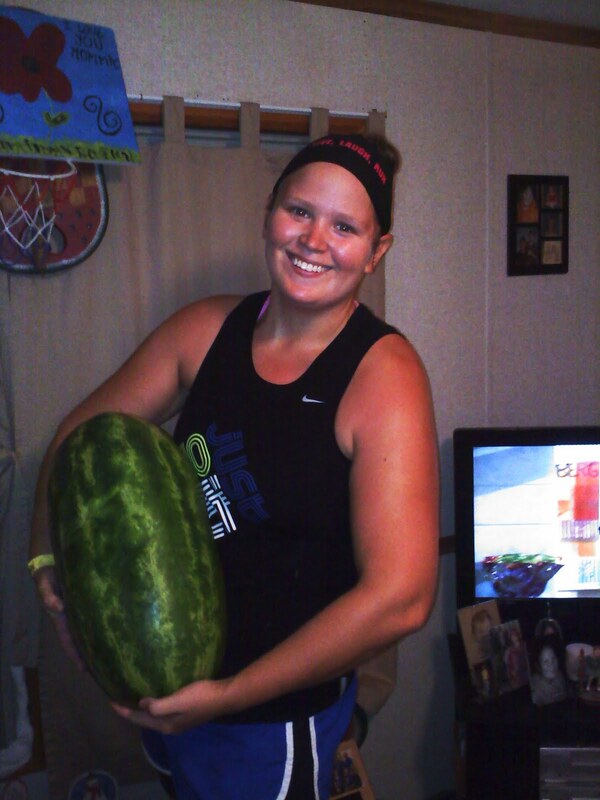 that is the biggest watermelon i have ever seen in my entire life. HUGE. oh. and no worries that I am a super stalker and zoomed in on your mail so that I could see the town and then google mapped my mom's house to that town to see how far it is. no worries at all. that is totally normal. i promise. anywayyy. I am visiting Louisville from 9/4-9/26 so maybe we can make some magic happen. we shall see. i HEART bondi bands and that one is AMAZING. okayyyy. and here is what I did to figure out the search stuff: go to the dashboard. and then the stats tab. and then "traffic sources"…scroll to the bottom to "search keywords" and there you go! I LOVE it!!! I may have to get a new one… awesome! Looks great on you!Way to go on the workout! I have a hairband that I have said makes me look like a cancer patient. I tell myself one day I probably will get cancer and I can use it for that.